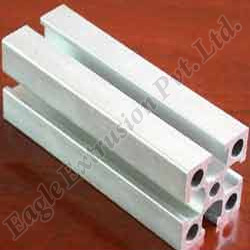 Leading Manufacturer of channel round fillet toes from Surat. Levering on our vast industry experience, we offer an extensive range of Channel Round Fillet Toes. The offered fillet toes are manufactured by skilled professionals, using optimum quality raw material and latest technology in accordance with the set standards at our end. Along with that, offered fillet toes are made available in different sizes to fulfill the various requirements of our customers. We are giving these fillet toes to our customers at market rates.